Of all of the inefficiencies a production line might face, bottlenecks are one of the most wasteful and potentially damaging. Bottlenecks have long been studied by economists and systems analysts as a way of understanding how more efficient and productive assembly lines can be developed, and there is even a sub-discipline within accounting dedicated to quantifying the financial impact of bottlenecks as it relates to opportunity costs and lost productivity. One of the reasons bottlenecks are so costly is due to the fact that they hurt businesses in several different ways. Bottlenecks not only slow down your production schedule, potentially leading to delayed deliveries and lost business, they can lead to skyrocketing costs in labour and repairs — they also lead to lost time and, potentially, wasted materials. So how can production lines be designed to reduce bottlenecks without reducing product quality? 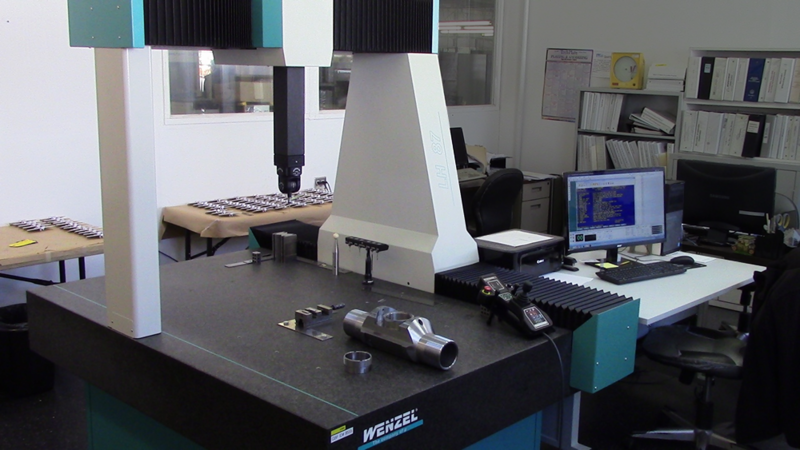 One of the most important tools for improving product flow is the coordinate measuring machine (CMM). Not only does the CMM provide accurate measurement data about newly produced parts that allows for strict quality control, CMMs equipped with the latest software can also monitor the overall health of a production line for issues that could develop into serious problems later on. One of the single biggest causes for bottlenecks on well-designed production lines is the necessity of repairs. While routine maintenance can be planned around the needs of the production schedule, unforeseen breakdowns that force a production line to cease operation until it can be fixed can occur at the most inconvenient times. One of the reasons CMMs are such a useful weapon in the battle against bottlenecks is due to their ability to gather and process large quantities of high-level data. Using the latest software, CMMs can analyse small changes in quality in the parts being measured to create a picture of how wear and tear further upstream in the production process may be leading to potentially serious machine degradation. By reading the parts being produced, the CMM not only ensures it meets blueprint standards, but also notes gradual shifts in quality that might be symptomatic of larger problems. If you want to learn more about how CMMs and other metrology services can help improve the efficiency of your production line, visit Canadian Measurement Metrology in Mississauga, Ont. Not only do they have a wide range of CMMs, from popular bridge models to portable arms, white light scanners, and other metrology tools, they can also provide you with the latest software, like state-of-the-art PolyWorks Inspector, which allows your CMM to monitor the entire production process. As Industry 4.0 becomes more of a reality with every passing year, the solution to costly bottlenecks and unforeseen machine failures is manifesting itself in production lines that monitor themselves. When integrated into smart production systems, the vast amounts of data that CMMs gather every time they measure a part can be used to find minor errors before they lead to major problems. By making production lines flow more smoothly and predictably, CMMs don’t just increase efficiency; the immense resources of time and capital that they save a manufacturing business might well mean the difference between success and failure.